PCR-UV Workstations: The UV irradiation avoids any DNA contamination of your samples or reagents. 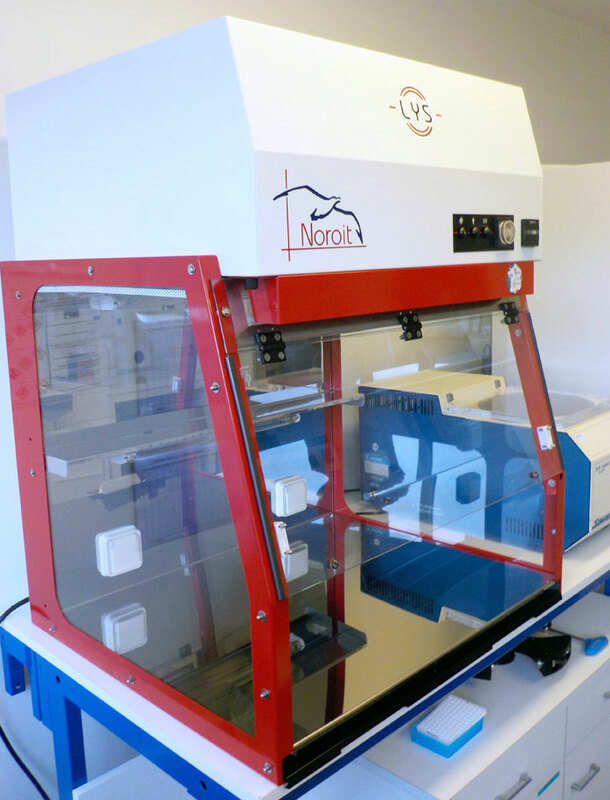 The Lys PCR Workstation is designed for Polymerase Chain Reaction and DNA analysis applications. 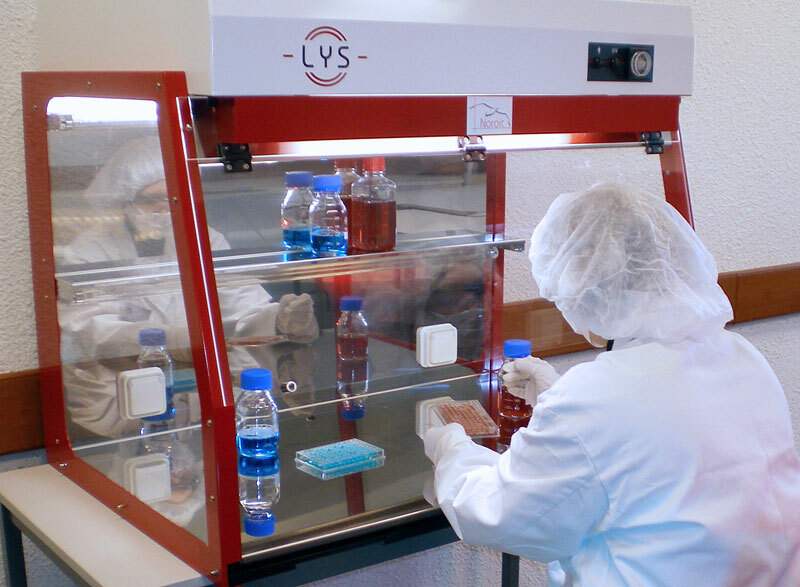 Available in HEPA-Airflow version or not, the Lys cabinet ensures an efficient UV decontamination whilst offering a very user friendly utilization. The UV irradiation decontaminates the working chamber and avoids any DNA contamination of your samples. Available in HEPA-Airflow Version, (ISO 5 – Class 100 air cleanliness). The 25º angle of the front window creates a comfortable working position. Pipette racks may be installed on both sides. 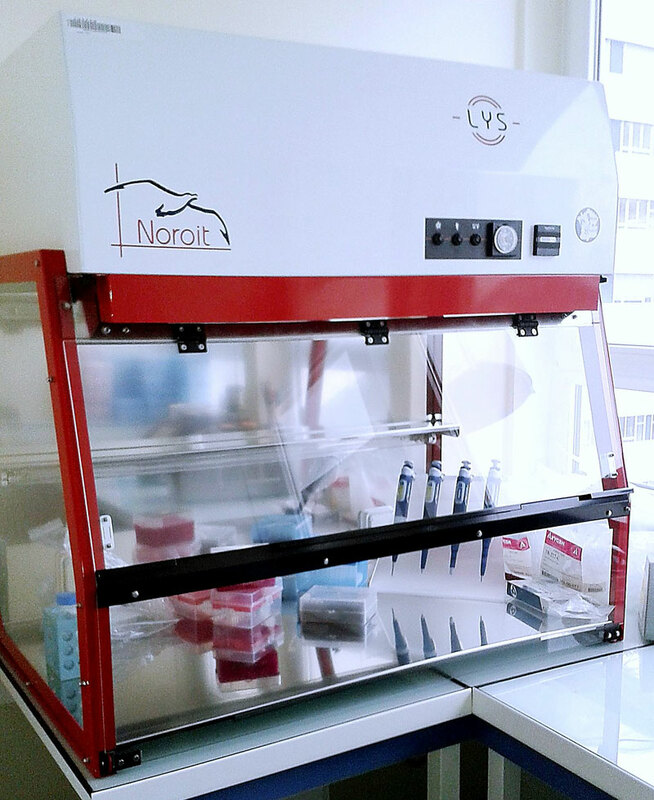 The Lys Cabinets are essential equipment in many Genetic Laboratories, Forensic and Crime laboratories, Research Department for DNA, RNA. ANSES (Agence Nationale de Sécurité sanitaire de l’alimentation, de l’Environnement et du travail), INSERM (Institut National de la Santé Et de la Recherche Médicale), CNRS (Centre National de Recherche Scientifique). The Lys 900, HEPA airflow Cabinet, has been installed in 2012. “It has fit perfectly in its dedicated tight place in the lab”, as previously scheduled with the Noroit staff. The cabinet is “easy to decontaminate and very user friendly”. “The UV cycle is launched every evening and the results are quite good. This process is requested daily because a different line of transgenic mice is studied every day. By using the decontaminating effects of the UV, the risk of inter genetic crosses is completely avoided”. The Lys Cabinet is available in compact (700mm) or large (900mm) widths. The Lys Cabinet is available in standard or HEPA-Airflow version.